Thanksgiving: the one time of year it's socially acceptable to stuff ourselves into gluttony. We just can't get enough pumpkin pie, turkey, dressing, and anything else that fits onto our plates. 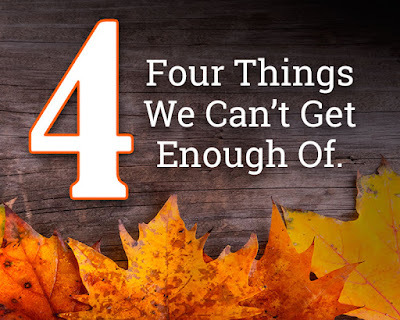 We're already in Thanksgiving mode, and that led us to thinking, "what else can't we get enough of?" There are some things, no matter the time of year, that will always love shamelessly. Compelling content, or story telling, in both web copy and social media, is one of the most important factors in marketing. Reading an interesting or moving story is far more intriguing than reading yet another blanket sales pitch. It shows WHY someone should buy your product or use your service. This is the time to pull at heartstrings, throw out a surprising stat, share new or relatively unknown information. The marketing world is moving away from B2B and B2C, and into P2P (Person to Person). Talk to your customers, as a person, like they're actually a person. Not like a marketer talking to a sales prospect. 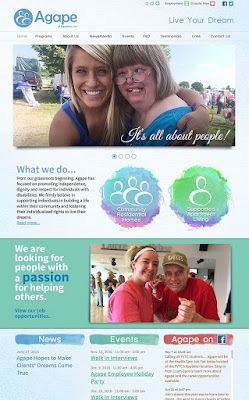 CP Centers shares pictures and stories of their client activities and group outings, which shows families of clients and potential new clients the work the organization does, without outright sharing a list of services. They also recently shared a video for Giving Tuesday, showing what the impact of a donation is for the Center and its clients. CP knows they need to show their "why" for people to be willing to donate. Happily Ever After shares pictures and stories of the Santuary's animals, both pre and post adoption. They share each dog or cat's picture and background story, making it much easier for them to be adopted. Because who doesn't love cat and dog pictures flooding their newsfeed? They also frequently share adoption successes when the animals find their forever homes. This has led to families sharing their own stories of how happy they are with their new pet. Renewable Energies understands that outdoor wood furnaces aren't exactly the sexiest product to tout on social media. But they do understand that their customers are the backbone of their business. They share pictures and stories of their customers with their new furnace, and what kind of impact their purchase will have on their daily life, along with customer testimonials. These are great ways, beyond a list of benefit statements, to show why someone should buy their product. We also have a few national brands favorite story tellers. Taco Bell is a company that understands something extra has to be brought to the table (pun intended) if they want to make fast food exciting. Through humor and wit, contests, and pop culture references, they keep their accounts engaging enough for their customers to stay excited about their products. By encouraging customers to share pictures of their families in their pajamas, Pajamagram tells their story through their customers' stories. Their clothing is also memorable because of the messaging: their products should be part of your family's traditions. This is their why; they are so much more than pajamas, they are memories. Like we mentioned earlier, P2P interaction is at the core of marketing campaigns. We love when we see brands share inside looks into their company. It shows that the company is full of interesting people and is more than just data on a screen, or sales getting shouted from the rooftops. Social media should be just that - social. When users see this more interesting side of the company, and the people behind it, it makes your brand stand out. They won't remember a boring page, but they will remember a company that looks fun. And they are more likely to engage with you if you're entertaining. Which of our clients and what national brands excel at this on social media? Lamers does a great job of sharing employee spotlights, which gives their followers insight into not only their bus drivers, but also their office staff. Their coach bus drivers often share on the road pictures, giving customers an idea of the different places they can travel through their company. During the Pokemon Go craze they even shared pictures of the Pokemon hanging around their corporate office. 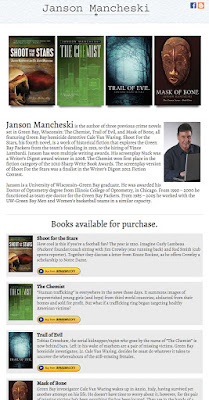 People and experiences are far more interesting than busses, and Lamers gets that. Hootsuite's Snapchat is not run by just one person. They often have takeovers from various employees and teams to give their followers different perspectives of their company. Their Instagram shows the employees engaging in team building activities, running their Twitter chats, and general office fun, which not only gives insight into the people at the company, but also shows off their unique culture. If a picture says a thousand words, what does your website say? Let's face it, imagery is dominating the web right now. If you aren't taking advantage of that, you're already behind the times. Whether it's part of a web design or social media, we love attention-grabbing visuals. Catch your user's attention with an impressive image, and then keep their attention with compelling content. 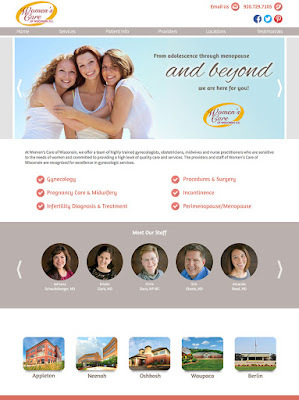 Websites that are image-heavy, especially when those images are sharp, look really polished and contemporary. We also love when sites utilize their space with blocks of images, and use content to fill the gaps. If you need help moving forward with content or graphics in your social media strategy, or if your website needs a fresh design, we would love to talk. 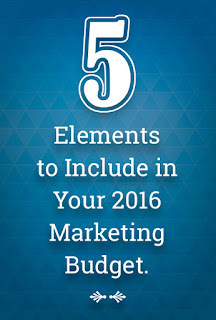 As we near the end of the calendar year, Marketers and business owners everywhere are putting together their budget for 2016. If budgets are created based solely on what had been done the previous year, or on what has been successful in the past, components crucial for marketing success can be left out or forgotten. Especially considering that the marketing scene changes every year. 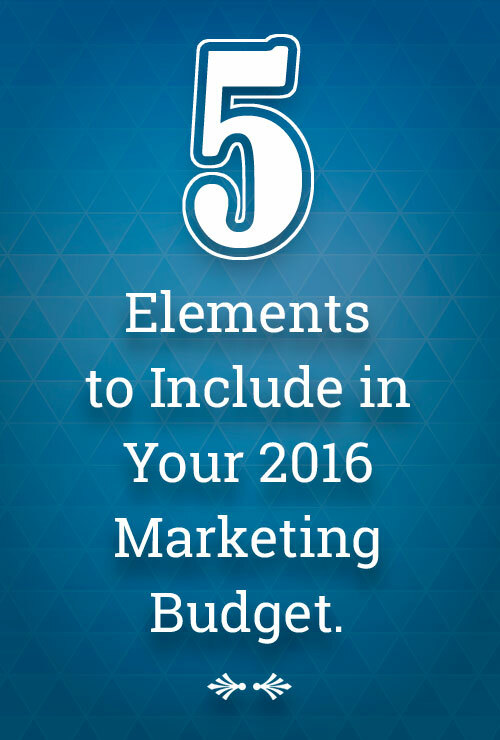 We have the most important things to consider for next year's Marketing budget. Transitioning your website into a Responsive design is a necessary move for 2016. 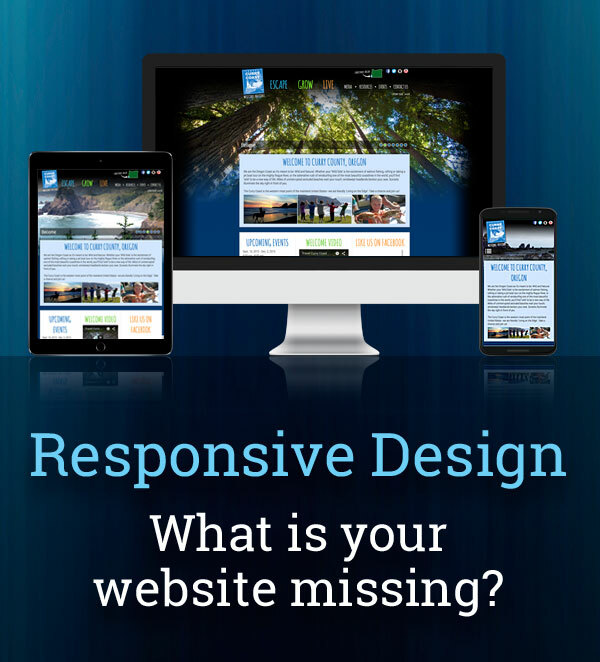 In April 2015, Google started placing a high value on Responsive design. Translation: websites that are Responsive will receive higher search rankings than sites that are not. The way your customers use your site should be considered here as well. Every day, more searches are being done on mobile than on desktop. As of March 2015, the number of people browsing the Internet from only mobile devices (11.3%) surpassed those who are online only via desktop (10.6%). If your users have to keep zooming or scrolling to read your content, they will abandon your site to find one that is easier to read on their mobile device. If you have questions about converting your website to a Responsive design, DMI has a team of web experts who would be happy to answer them for you! It is important now more than ever to not only have a social media presence, but to also have a successful strategy for your business. Using social media as part of your online Marketing strategy is the easiest way to communicate your message to the most people and drive traffic directly to your website. Updating your social media plan for 2016 will be a big win for your company. If you are not currently taking advantage of Facebook campaigns (boosted posts or promoted page ads), it is absolutely something to consider. Using these options, you can target the exact audience you want to reach. Your ads' audience can be filtered by age, gender, location, and interests. With the ability to choose your budget and the duration of the ad, you are still in control of your own content. If you are looking to grow your social media following and broaden your audience, DMI has a socially-savvy team happy to help! If there is one thing that Google likes to do, it's keeping Marketers on their toes. Search is constantly evolving, i.e. Panda and Penguin updates that have occurred recently or will be happening soon. As such, Marketers and SEO experts must stay up-to-date with current changes and algorithms to ensure successful search results. Maintaining your site to stay in line with these updates is a must for 2016. If you have questions on how to keep your business at the top of search results, DMI's Marketing experts would love to chat with you! Ok, so you've got your website primed for optimal search results. Now how do you stand out from your competition? One option is to showcase your building through Google 360 View/Business Tours. This feature is a 360? view virtual tour of your business, of both the interior and exterior of the building. This gives your customers, or potential customers, an insiders' view of your business. It is shown in search results, Google Maps and Google+. Why is showcasing your building an important piece to consider for 2016? One in five searches are about businesses in specific locations, and most users will research a company or product online before a purchase. Additionally, companies using Google 360 View have seen an increase in engagement and a 20-40% increase in business. If you are looking to have an edge over your competition, DMI has a Marketing team ready to help you out! We have become an increasingly visual society, as evidenced by the huge success of platforms like YouTube, Vine, Instagram, and Snapchat. The Millennial generation is a heavy influence of these successes and is growing as an audience. Keeping up with your audience and knowing how and where to reach them is crucial to your success. Incorporating video into your Marketing strategy is highly encouraged for 2016. In 2014, the amount of videos in Facebook's Newsfeed increased by 3.6 times year-over-year. Videos have the highest engagement rate of any kind of content on social media and allows for a better understanding of the message. The use of video shows an increase in users' understanding of a product by 74%. 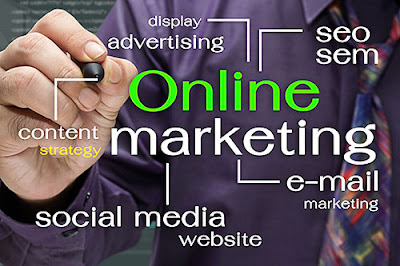 If you need help with any of your online Marketing efforts, we'd love to connect with you! 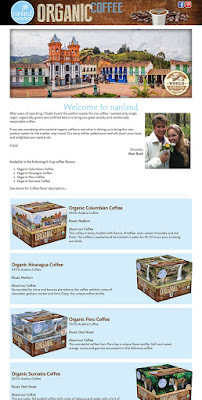 You're a localized small business and you've got a great website. Now what? Your next step is marketing. There are a number of tools at your disposal to help your audience find you online. A great first-step is to ensure your website is listed in local directories. While your website will have your business name, hours of operation, phone number and address, it is important that online directories have the very same information as well. That way, search engines know to connect the information they have with your website, ensuring customers will find your business when they search for you. If any of the above has occurred with your business, submitting to a local directory is imperative so you can set the search engines straight, so to speak. Everybody expects your business card to have your web address on it. While we certainly recommend that you include the URL, why not include something unique? Maybe www.mywebsite.com/welcome with a nice welcome message to those who type in the address? Differentiating your business is important. Helping your audience to Know, Like and Trust you (something we've preached a lot of) is the goal. A unique welcome page with a special offer, a special message or any other unique idea will help your potential customers remember you! Simply put, submitting your website to the Search Engines will help with where you come up in search results. Submission will also ensure the search engines will regularly search your website for recent updates. This step should not be skipped. Sometimes, marketing can get a little mundane. You want to stand out. You don't want to be confused for a competitor of yours. How can you grab attention and remain memorable? Well, one Realtor in New York is putting his money where his mouth is. He's offering his employees a 15% raise if they get a tattoo of the brand's logo. Creativity was not lost on him!